‘Cleanliness is next to Godliness’. This was taught to us as children. In our days we had a class on moral science, where we were taught certain basic human and civic values in schools. Our elders had no problem with those classes because they also wanted us to imbibe those traits. But today nobody wants to be ‘taught’ or ‘advised’. Children definitely do not want to be ‘preached’ to. Teachers are asked to change their attitudes, teaching methods and ways of handling children. Participative, interactive, activity-based – many a jargon is used. The content too has changed a lot. Controversies keep surfacing every now and then, especially with respect to content in the Humanities, as different groups have different takes on history. I am often left wondering whether all that we studied in history is factually correct or distorted! However, value education is neither specific nor irrelevant to any period. I don’t know why it is detested as empty preaching. It has a direct bearing on our life every day and this became clear once more during a recent travel experience. I happened to travel to Madhya Pradesh and spent two days on long distance trains each way. I could see how the absence of good value education can affect a society. For instance, there was this family sitting right opposite to us, who wanted us to exchange the middle berth with our side lower berth, so that their children could enjoy sitting on the middle berth and they could all be together during the journey. We agreed. They pulled up the middle berth as early as 8.30 in the evening, put their children on it and happily sat on our side berth, chatting away to glory, ignoring the plight of the four of us with our toddler grandson crammed on one seat, waiting for them to vacate! I reminded them that it was our berth and we needed it, as we needed space to dine too. Then they got up and requested us to remove a kid’s bag that we had placed on the side board (dining board). They had stacked a huge suitcase right below the board. So, we could not even put our feet down. We asked them to move it below the side seat. Immediately, the lady flared up and started shouting at us and after putting us through so much of trouble for nearly two to three hours, she now wanted us to again exchange our berths! So, it was only their convenience that mattered! Then they had dinner and she instructed her children sitting on top to just throw the used napkins, paper cups and plates right from there and placed their used dining ware all over the aisle! Not to mention the loud telephonic chats that she had throughout the journey, except for a few hours in the night! All this by an educated family travelling in an AC III tier coach! When we reached Umariya Railway Station on the third day, I was very surprised to see the clean platforms. On the train too, the cleaning staff would come and sweep the coach every two hours or so. 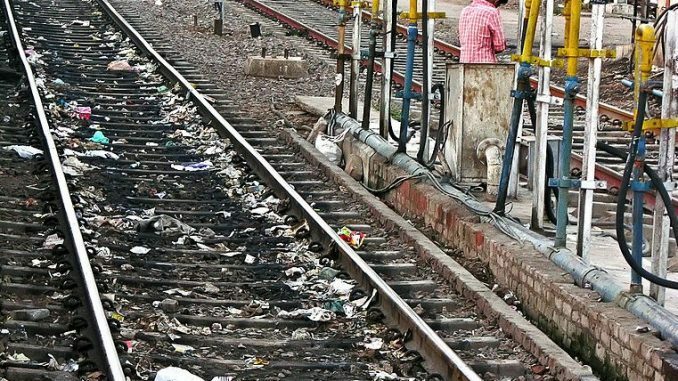 But all the garbage collected would either lie scattered near the toilets or be strewn on the railway tracks during the journey. The small garbage bins placed near the toilets were definitely not enough for nearly 70 passengers. In fact, they were already overflowing when the train started from Bangalore! During our return journey, things were more disappointing. First of all, I was shocked to enter the Pipariya Railway Station, which is the station for people travelling to the beautiful and famous tourist destination of Panchmudi. It was the dirtiest station I had seen in the recent past. The platforms were all littered, stray dogs dining happily from dustbins that they had knocked over. All the bathrooms were in such unhygienic, dirty state that I literally vomitted on seeing them. I entered the Assistant Station Master’s Room to complain and he expressed his inability to do anything because the work was of the contractor, who got paid anyway by the higher-ups; he complained that his own bathroom was stinking and he was falling sick! I lodged a complaint, for whatever it may be worth. Thousands of travellers from around the country and even from foreign countries visit Panchmudi and this is what welcomes them! The journey back by train was equally nightmarish, as the coach we travelled in was very old and badly maintained. We travelled by AC II- tier and even the lights in the coach were not functioning properly. The coach was littered all over and nobody cleaned it up throughout the journey, except once in Guntakal Station, after we had complained umpteen times. The state of the bathrooms need not even be described! The attendant was nowhere to be seen in the entire journey of two days. To add fuel to the fire, the train was late by an hour and it’s hardly a wonder that after the harrowing experience, each of us has been falling sick by turns since we returned! The point behind discussing our travails thus is to highlight the fact that people basically have no civic sense. Even in hotels, we saw people just littering all over the dining hall. What sort of examples are we setting for our children? If we do not want to teach or preach values to the next generation, we should at least lead by example. But we won’t do that either! Then how can ‘Swachh Bharat Abhiyaan’ succeed? We will behave badly in public, we will fight for the wrong things, we will litter, we will spit all over, we will break queues, we will pee against public walls, we will break traffic rules, we will park wrongly, we will destroy public property – all in front of the next generation, because we are free to do anything! If we try to advise anything as elders, we are snubbed, teased and ignored. I have travelled many times in the past and I can easily say, things have only gone from bad to worse! All the efforts that are being talked about by the Swachh Bharat team not really going anywhere. Cleanliness is just not about preventing open defecation in rural areas! 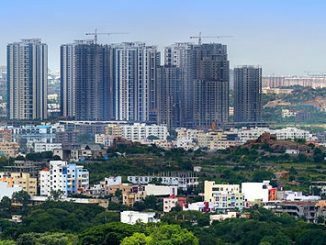 Should the essence of the Abhiyaan not reach all over the country, especially in the so-called civilized urban centres, where there are more educated people and which are frequented by people from all over the world? Good Luck Prime Minister! You have taken up a really tough task with millions of apparently interested but fundamentally non-cooperative and callous followers! Sudha Narasimhachar is a retired banker and freelance writer based in Bengaluru. What can citizens do to ensure a healthy environment? Whenever we talk of environmental degradation, we tend to point fingers at nations and governments. 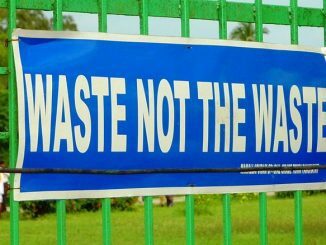 But there’s a lot that every individual can do to save the planet, as a fellow citizen points out. 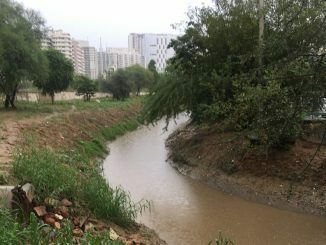 Solving many of our everyday civic issues does not involve rocket science; all it takes is for citizens and administration to work together, as the successful cleaning of this Gurgaon stormwater drain shows. I fully agree with you in this matter. We travelled to Kerala in the second ac compartment of the Island Express from Bangalore to tvm and return.coaches were so old and toilet so filthy..